This website provides supporting material for textbooks written by Dr. Fralick. It includes resources for faculty who teach student success courses and for students who dream of graduating from college and having a rewarding career. Personality, multiple intelligences and learning assessments are an integral part of these materials. Dr. Fralick has 39 years of experience in teaching college success courses, developing curriculum, and providing professional development for faculty. Online versions can be integrated into your course management system. These textbooks meet the new Guided Pathways requirements. 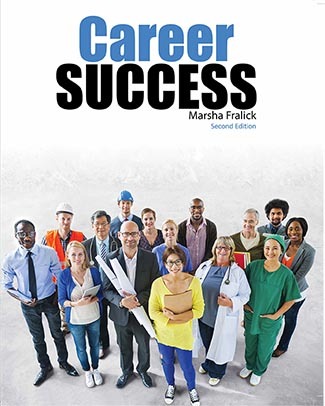 College and Career Success, 8th Edition is a comprehensive textbook including career, college and lifelong success topics for 3 unit courses. It includes online personality, multiple intelligences, and learning assessments. College and Career Success Online is available. College and Career Success, 8th Edition, Concise, is designed for shorter 1 or 2 unit courses. It includes both college and career success topics. It includes online personality, multiple intelligences, and learning assessments. A Concise College and Career Success Online is available. and choose a major that matches their personal strengths. An interactive online version is available. 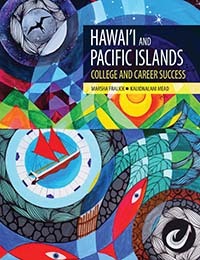 Hawai'i and Pacific Island College and Career Success is based on the 7th Edition Concise of College and Career Success. It contains Hawaiian and Pacific Island cultural content along with the traditional college and career success topics. An interactive online edition is available. 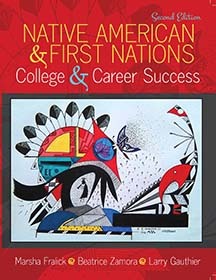 Native American College and Career Success 2nd Edition is based on the 7th Edition Concise of College and Career Success. It contains Native American and First Nations cultural content along with the traditional college and career success topics. College and Career Success, 7th Edition is a comprehensive textbook including career, college and lifelong success topics for 3 unit courses. It includes online personality and multiple intelligences assessments. 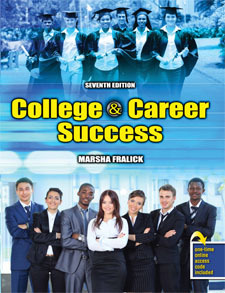 College and Career Success, 7th Edition, Concise, is designed for shorter 1 or 2 unit courses. It includes both college and career success topics. It includes online personality and interest assessments. Career Success helps students assess personality types, interests, multiple intelligences, and values to choose a major and use new media to find a career. It includes online personality and multiple intelligences assessments. Interactive online edition available.